We stock a huge range of Alpinestars Road and Motocross Boots, including the latest, new release models, as well as superseded models reduced to clear. Our range is available to view online, with fast free shipping Australia wide. Alternatively, you can visit one of our Sydney or Melbourne stores. 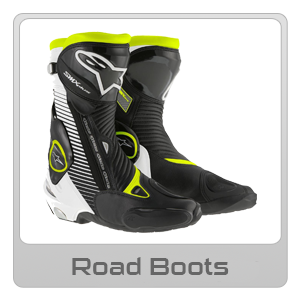 We stock a great range of Mens and Ladies Alpinestars Road Boots. Our range includes the latest in Ride Shoes, Ankle Boots through to Road Race styles. Our ladies range offers womens specific sizing and fit. 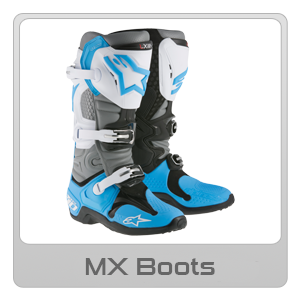 Our range of Alpinestars MX Boots includes Mens, Ladies and Youth in the latest models and colourways, including limited edition styles. Alpinestars was founded in 1963 and since then has been providing motorcyclists with a range of protective gear.